This is the base of wall sconce at the Hohenzollernplatz U-bahn (subway) station in Berlin. I love the globe over her head! 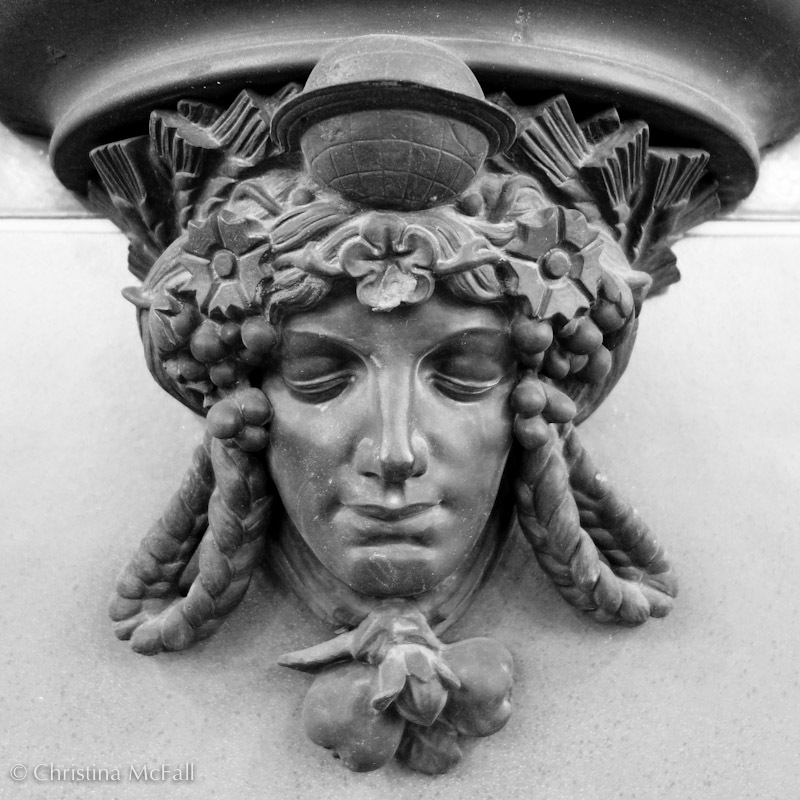 2 Responses to "photo: art nouveau head with globe"
Wow, you’re so observant. I love that. Have you spotted the grandiose ironwork on the U1, I Bulowstrasse is especially ornate. Berlin is really a rough diamond, eh. Bulowstrasse? I haven’t seen it – I’ll have to go!